Great enterprise apps are not stand-alone things. Fueled by data, they require connection to an exploding number of data sources, both within and outside of the enterprise. For most companies this has meant tedious hand-coding of specialized integrations to make data consumable for mobile. This approach though is a house built of straw – it may be workable an app or two, but quickly collapses under its own weight as mobile efforts scale beyond those first few apps. Taking aim at exactly this need for providing fast, simplified data access in a way that works for mobile, we created the API Builder capability which was announced today as one of the key elements of our summer ’14 release. 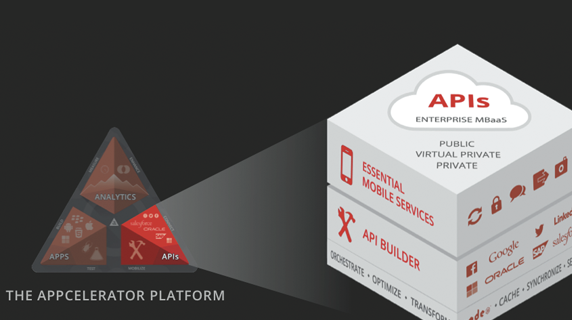 The API Builder is the newest part of the Appcelerator Platform’s enterprise MBaaS. It gives developers a powerful point-and-click interface for the rapid assembly and hosting of mobile-optimized APIs (see example steps below). It enables data source connection, input validations, filters, data transformation (e.g. XML to JSON), and payload compression – everything needed to make data consumable for mobile. Prebuilt connectors: To further assist with many of the common enterprise scenarios, the API Builder also contains out-of-the-box connectors to leading enterprise and public data sources such as SAP, Salesforce, REST APIs, and others. These building blocks can be applied with just a few clicks to get the specific data that meets your needs available in a mobile-optimized format. Essential Mobile Services: The API Builder is complemented by more than 20 out-of-the-box services that help enterprises take full advantage of the context-aware nature of mobility and the growing array of mobile device capabilities. This includes automatically scaled data storage and a suite mobile-specific capabilities such as online/offline sync, push notifications, geo-location, photo management and more. Drive heightened innovation by creating a robust collection of APIs that developers, partners, or even 3rd-parties can use to build creative app solutions. This simple flow demonstrates how the API Builder works and the ease of creating mobile-optimized APIs. 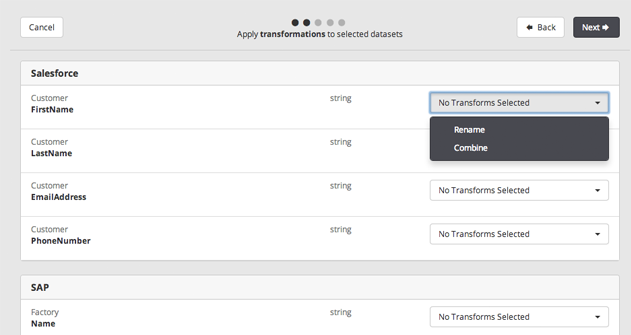 Step1: Select your data from a range of enterprise and public data sources. Q: How flexible is the API Builder? 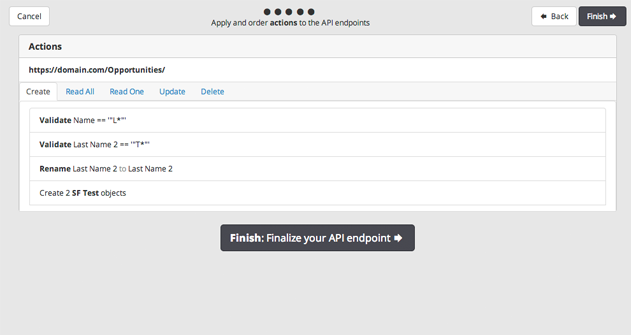 A: The API Builder’s interface provides a very powerful way to assemble APIs. However, it has been designed in such a way that you still have full access to the underlying code created to provide maximum flexibility to developers. Moreover, it is built on Node.JS and contains no proprietary technologies. This also means developers can also take advantage of over 80,000 publicly available Node Packaged Modules (NPMs) to further aid mobile API creation. Q: What type of apps can consume the APIs created by API Builder? A: Support for Native SDKs which was also announced as part of the summer ’14 release, means that the Appcelerator Platform’s enterprise MBaaS capabilities, including API Builder, are available to every app in your portfolio, regardless of whether the apps were built with the Appcelerator Platform or directly via native SDK (iOS and Android). Q: Where are the APIs hosted? 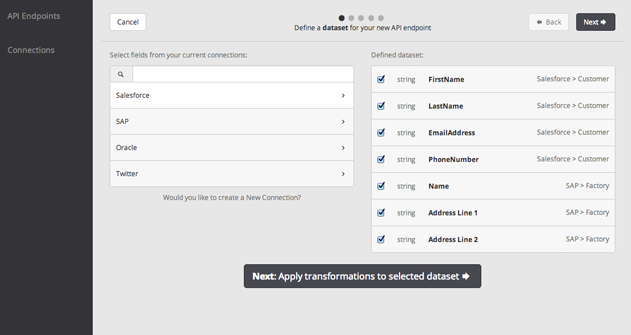 A: The API Builder allows for both the creation and hosting of your mobile-optimized APIs. The location of the APIs will depend on the deployment configuration chosen for the enterprise MBaaS. To accommodate the needs of different organizations, the MBaaS is offered via flexible deployment models including a multi-tenant public cloud, a dedicated virtual private cloud or an on-premises private cloud. 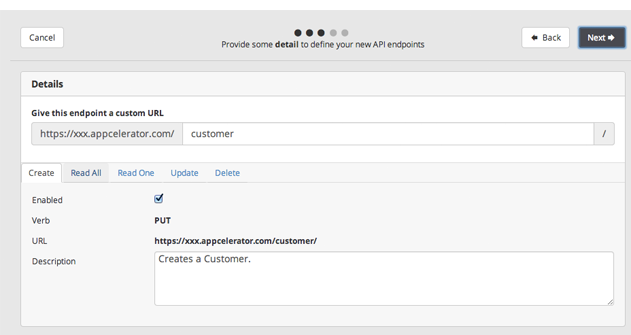 Next articleThe Appcelerator Platform Summer ’14 Release is Live! Can you create end points and then host them in your J2EE server of choice (for example Tomcat)?